This nice looking boot blade has an overall length of 7-1/2" with a blade that is 3-1/2" long, 7/8" wide, and 1/8" thick. 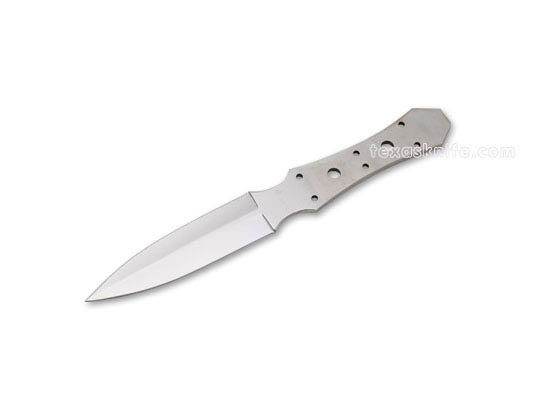 The blade is mirror polished 440C stainless steel. There are 6 pinholes that are 1/8" diameter and (2) .246" holes for 7/32" pins or bolts. The blade has been CRYOGENICALLY TREATED to enhance its edge holding properties. Fits sheath SHE24. Multi-Purpose Drill Bit - 5/32"